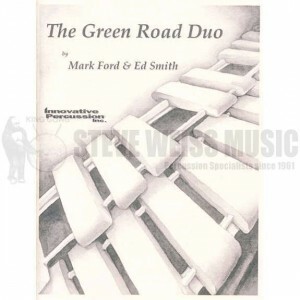 In 2010 I asked vibraphonist Ed Smith to collaborate with me on a duo version of my marimba solo, The Green Road. Ed and I work at UNT together and I had long appreciated his musicianship and his beautiful vibraphone performances. I was thrilled when he agreed! Ed and I extended the form of the solo and opened up one section for an improvised solo on vibraphone. Then Ed composed a beautiful vibraphone accompaniment to the original themes which we developed into the published version of The Green Road Duo. A recording of the duo is on my CD Stealing a Moment (available from CD Baby and iTunes). Here is a live performance video at UNT. Enjoy!